Aritificial Intelligence (AI) is a subject for great debate but however fearful we are of computers eventually taking over the planet, it will always be pursued and dreamt of. And next month AI will be another step closer as Google’s AI computer AlphaGo will battle the Go world champion - South Korea's Lee Sedol - live on YouTube. Google's AI company DeepMind has announced that it has built a system of neural networks capable of beating the champion Go player. 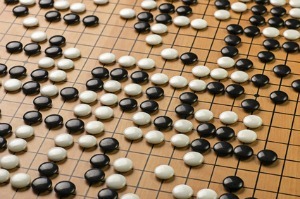 This ancient Chinese board game is considered an extremely difficult challenge for a computer — far harder than chess — and DeepMind's success was hailed as coup for AI research. However, the computer only beat the game's European champion, and in March, DeepMind's AlphaGo AI will take on the world champion, with YouTube live streaming the series of games which will take place in Seoul on March 9th to the 15th (there'll be a game a day apart from on the 11th and 14th), with AlphaGo facing off against Lee Sedol for a $1 million prize. The event is similar to famous six-game chess matches between world champion Garry Kasparov and IBM's Deep Blue computer in 1996 and 1997. Kasparov won in '96, but was defeated in '97. Whether Sedol will be able to hold his own against Google's AI remains to be seen. AlphaGo comfortably beat the European champion, Fan Hui, five matches to nil, but Sedol is confident.